help autoimmune: Could this widely used food additive cause celiac disease? Celiac disease is none of these things. It is an autoimmune disorder, where gluten triggers the immune system to attack the gut. It is common, lifelong, and can seriously harm health -- but nobody knows for sure what causes it. Now a review in Frontiers in Pediatrics says a common food additive could both cause and trigger these autoimmune attacks, and calls for warnings on food labels pending further tests. Exactly what causes this autoimmune reaction to gluten -- a protein found in wheat, rye and barley -- is uncertain. Specific mutations in an important immunity-related gene called HLA-DQ seem to be necessary for developing celiac disease, with one of two HLA-DQ variants present in virtually every sufferer -- but insufficient, as these variants are also present in about 30% of the general population. As a result, myriad environmental factors have proposed to interact with genetic risk to cause celiac disease. These span infections, food and toxins; vaccination, drugs and surgery. Most recently, food additives have been suggested to contribute. Among these, microbial transglutaminase -- a bacterial enzyme heavily used in industrial processing of meat, dairy, baked and other food products -- has emerged as a likely culprit, according to the new review. There is a direct positive correlation between rising use of industrial enzymes in bakery products and rising incidence of celiac disease in the last four decades, according to Lerner and co-author Dr Matthias Torsten of the Aesku KIPP Institute, Germany. But if transglutaminase is produced normally in our tissues -- and by our own gut microbes -- what difference should a little more in our diet make? "The gluten protein fragments or 'peptides' that remain after digestion are highly susceptible to transglutaminase, which modifies them to make a variety of new peptides" Lerner explains. "These unusual peptides are particularly likely to resist further breakdown, and to be recognized as 'foreign' by HLA-DQ immune receptors inside the gut wall -- but only in those carrying the HLA-DQ variants associated with celiac disease." Compounding this, components of gluten also loosen the connections between cells lining the gut, allowing more gluten-derived proteins -- as well as microbial transglutaminase -- to breach this barrier and interact with immune cells. In other words, microbial transglutaminase (bound to gluten fragments) could in fact be the target of the immune response in celiac disease -- and the attack on our own transglutaminase merely a case of mistaken identity. 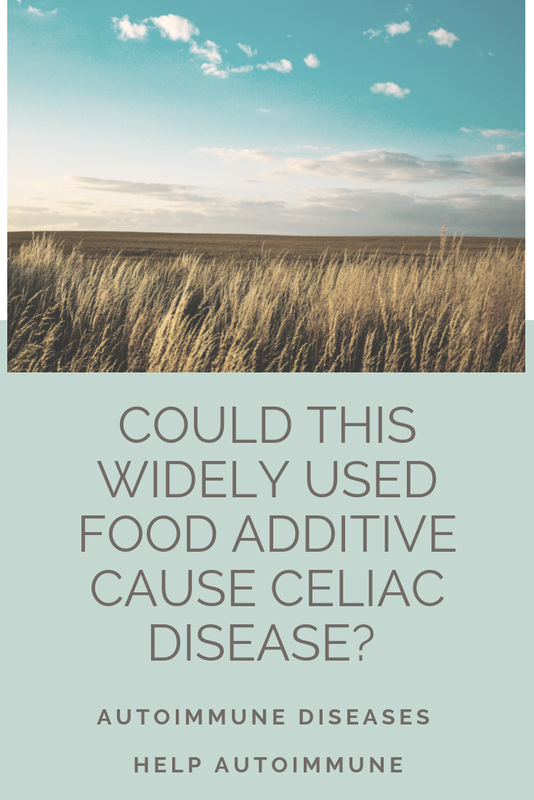 Microbial transglutaminase present in processed foods is therefore a potential environmental cause of celiac disease. But according to Lerner, the jury is still out. "Ultimately all we have so far are associations between microbial transglutaminase and celiac disease. To test whether this enzyme causes or triggers immune damage in celiac disease will require experimenting with exposure in animal models, intestinal cell lines or biopsies." Nevertheless, with no known cure for celiac disease, treatment depends on preventive measures -- namely, adhering to a gluten-free diet. "Until there is a clearer answer, we recommend transparency and vigilance with regards to labeling of foods processed using microbial transglutaminase." In Switzerland for example, such products must be labelled as unsuitable for persons with celiac disease.